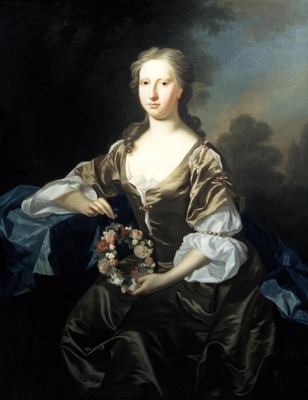 Lady Margaret Hay was the daughter of John Hay, 12th Earl of Erroll and Lady Anne Drummond.1 She married James Livingston, 5th Earl of Linlithgow, son of Alexander Livingston, 3rd Earl of Callendar and Lady Anne Graham, circa May 1707.1 She died after 20 May 1707 at Rome, ItalyG. James Livingston, 5th Earl of Linlithgow was the son of Alexander Livingston, 3rd Earl of Callendar and Lady Anne Graham.1 He married Lady Margaret Hay, daughter of John Hay, 12th Earl of Erroll and Lady Anne Drummond, circa May 1707.2 He died on 25 April 1723 at Rome, ItalyG. [S18] Matthew H.C.G., editor, Dictionary of National Biography on CD-ROM (Oxford, U.K.: Oxford University Press, 1995), reference "Williamt Boyd". Hereinafter cited as Dictionary of National Biography. [S15] George Edward Cokayne, editor, The Complete Baronetage, 5 volumes (no date (c. 1900); reprint, Gloucester, U.K.: Alan Sutton Publishing, 1983), volume II, page 429. Hereinafter cited as The Complete Baronetage.